- STUNNING VENUE, GROUNDS AND 2 NIGHTS ACCOMMODATION WITH ALL MEALS PROVIDED. - ARRIVE 2PM FRIDAY AND FINISH SUNDAY AT 5PM. 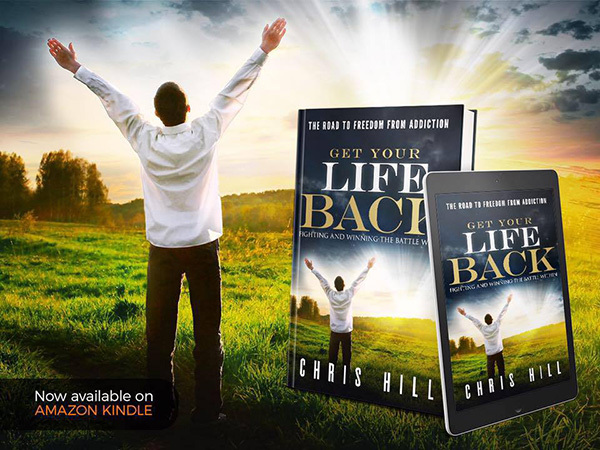 Chris Hill is back at Chantry House this month with his life-changing workshop, ‘Get Your Life Back’. This is a wonderful opportunity to understand how your mind works so you’re in control and can live the life you want. 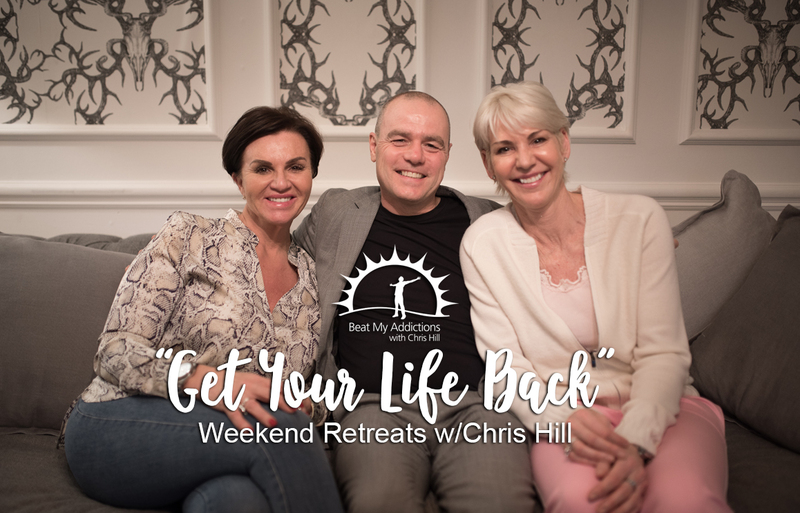 At this retreat, you will learn Chris’s simple yet highly effective system, allowing you to create any change you want in your life. And maintaining that change. This simple programme can be applied to dealing with anxiety, stress, smoking, alcohol, weight control and any other feelings of fear and loss of control. You’ll be able to switch the feelings and emotions you have from being negative and potentially destructive, to actually working in your favour. You can be free from dysfunctional behaviours, without feeling like you’re missing out! Discover how the mind, body and conscious-self work, and what you must do to manage addiction, anxiety and stress. 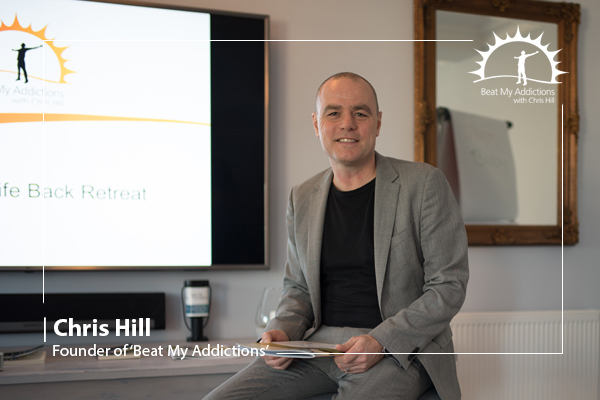 Chris Hill is an addiction expert and also the best-selling author of ‘Get Your Life Back’. The luxury, comfort and tranquillity of Chantry House offers the ideal environment for this wellness experience. 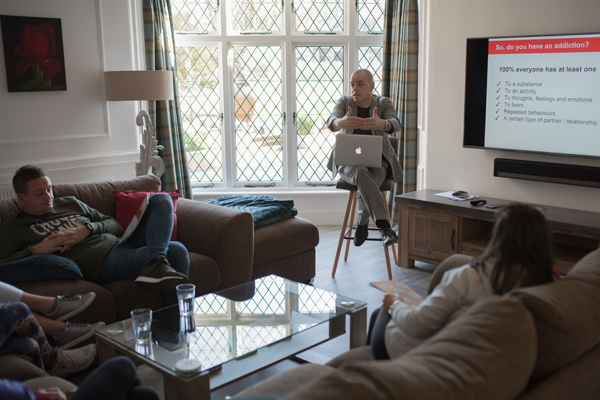 Whether it’s quiet areas for self-reflection or, cosy seating for group discussions, you’ll be able to truly immerse yourself in this experience. You’ll learn techniques to help you relax through meditation and yoga. There’s also gentle exercise and nutritious, healthy meals, freshly prepared by our own chef. It’s a place to put yourself first. You’ll be with a small group of people who understand and can support you. 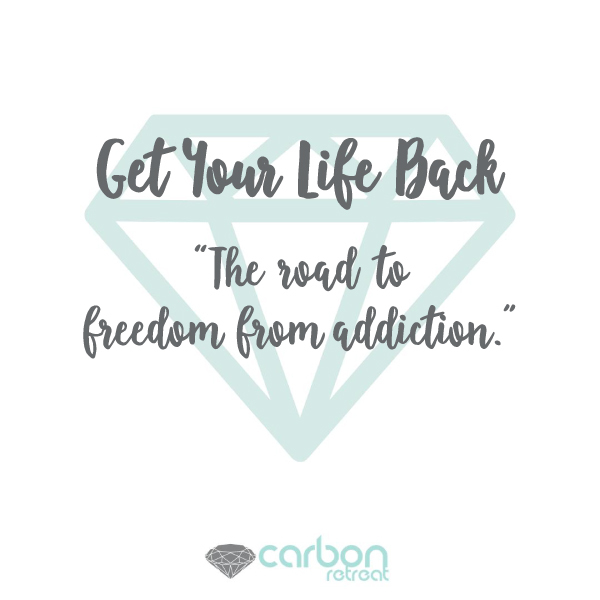 Plus, you can talk to Chris, and our other staff members at Carbon Retreat, as you learn the tools allowing you to take control of your life. Be with people who understand and can support you. There are limited spaces available, a small group means more one-to-one time. Arrive Friday 26th April @ 2pm, leaving Sunday 28 April @ 5pm. You'll stay in our luxurious accommodation, where you can unwind and enjoy the stunning venue, grounds and historical Jacobean building, surrounded by beautiful countryside. Arrive Friday 8 March @ 2pm, leaving Sunday 10 March @ 5pm. You'll stay in our luxurious accommodation, where you can unwind and enjoy the stunning venue, grounds and historical Jacobean building, surrounded by beautiful countryside. The information you'll receive on this retreat is like nothing you'll hear elsewhere. It's truly life-changing. 'BOOK NOW' to start your journey to a life you have full control of. We look forward to seeing you. Complete the form below and a member of our friendly team will get in touch to discuss your enquiry.